There is good news for Avios, Virgin Flying Club, Emirates Skywards, Singapore Airlines KrisFlyer, Aegean Miles+Bonus, Royal Brunei Royal Skies and Lufthansa Miles & More members! Today, 1st October, Heathrow Rewards is launching its annual bonus promotion on electronics, watches and jewellery, keen to tap into the Christmas rush. Long-term readers of HFP will know that this promotion usually starts in November. Heathrow Rewards has decided to trial an earlier start this year, possibly to catch the half-term traffic at the end of the month and the new iPhone launch. This is an excellent opportunity to pick up a large pile of miles. Dixons Travel is included so this is a good chance to cash in on a new iPhone purchase. Here are the details of the offer, which runs from 1st October until 31st December. 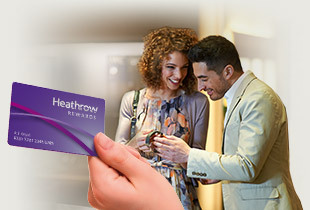 Remember that you can convert Heathrow Rewards points into Avios, Virgin Flying Club, Emirates Skywards, Singapore Airlines KrisFlyer, Aegean Miles+Bonus, Royal Brunei Royal Skies and Lufthansa Miles & More miles as well as into Heathrow shopping vouchers. Heathrow Rewards has been running regular transfer bonuses over the last couple of years. If you don’t need the miles or shopping vouchers immediately, I recommend that you don’t transfer them into miles immediately. You risk missing out on a potential 50% or 100% transfer bonus at some point in the future. If you are not already a member, you can earn an additional 3,000 Heathrow Rewards points (=3,000 miles, more with a transfer bonus) when you spend £150 in one day via this promo. The offer runs from today until 31st December. I took advantage of this deal a few years ago when I bought my wife a watch at Watches of Switzerland. I then sat on the points – over 20,000 in total, including double base points as I was a premium member of Heathrow Rewards – and converted them to Avios when BA joined the programme. They were offering a 100% transfer bonus at the time, and I netted almost 50,000 Avios if I remember! This was a serious rebate on the price paid for the watch, which was already reduced by the equivalent of the VAT. World Duty Free is not part of the mega bonus promotion but is instead running a double points promotion on £100+ spend. Full details will be available on the Heathrow Rewards website from some point today. I’m about £25 away from reaching Heathrow Rewards Premium and am thinking of buying a something from Tiffany and Co for around £400 that’ll take me into premium. My question is, should I wait until I hit the £750 spend before making the £400 purchase? Or would that purchase count as the Premium tier. Equally, if I spend the £25 on the same day before the £400 would that also count? In the T&Cs it says that the extra points apply from the transaction after you qualify for Premium- so yes better to make a smaller one first. I think the same day won’t matter, they should be time stamped.